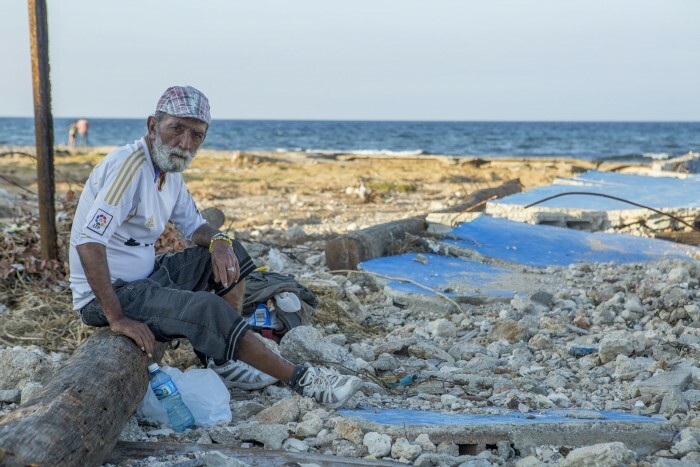 Nations and communities in the Caribbean are yet to come to terms with the actual losses, damages, and suffering that Hurricanes Irma, Maria and others have wrought. The increasing intensity and frequency of hurricanes in some areas of the region and droughts in others have increased the vulnerability of Latin America and the Caribbean. Hurricane Irma made landfall in Cuba as a category 5 storm, lashing the country for 72 hours, causing flooding in the north coast. As a result, the extent of the damage suffered by Cuba has been the worst experienced in 100 years. The increase in the frequency and intensity of extreme weather events such as Hurricanes Irma and Maria, confirms that climate change is indeed occurring and that its impacts will continue to affect lives and livelihoods, disproportionately affecting the vulnerable. The losses and damages resulting from the changing climate are well beyond the capacities of vulnerable nations and communities to handle. Urgent and comprehensive measures must be put in place to support them. The developing countries and small island states of the Caribbean have had very little responsibility for causing climate change, yet are faced with the most severe impacts of this global phenomenon. The same can be said of island states in the Pacific facing typhoons, or nations in the Horn of Africa facing drought. The reality of a disproportionate burden posed by climate change makes it necessary to undertake a comprehensive approach to resilience, beginning with addressing Hurricanes Irma, and Maria to name the most current. Such an approach must combine climate change adaptation and mitigation, emergency preparedness and response, disaster risk reduction along with long term transformative development. Developed countries should contribute to the financing of these efforts in accordance with the principles and commitments of the Paris Agreement and the climate Convention. ACT Alliance believes that a climate resilient approach, coupled with disaster risk reduction and sustainability, drawn from existing global frameworks including the Paris Agreement, the Sendai Framework for DRR and Agenda 2030 for Sustainable Development will help us to understand and be better equipped to face not only hurricanes, but the collective burden of climate change. As a faith based network, we believe that a testimony of accompaniment to individuals and communities working together to protect the lives of people and the environment from a resilience approach must have at its core the restoration of the faith and hope in people and communities. Therefore, in ACT Alliance, we find it necessary to strengthen our prophetic voice in advocacy and actions to create greater awareness and understanding of climate resilient sustainable development in communities. We continue to encourage and accompany the advocacy efforts of our members, forums and communities as they hold policy holders and decision makers to account. A key message in our advocacy efforts is for those most responsible for contributing to climate change, who also happen to have a greater capacity and access to resources to respond, to take the necessary measures to comply with the Paris Agreement, especially with regard to substantially financing climate action in vulnerable countries and particularly for adaptation measures and losses and damages. The upcoming UNFCCC COP23 must make significant steps towards this goal. On our part as ACT Alliance, together with our partners in the ecumenical movement, we commit ourselves to reinforce our humanitarian, development and advocacy work and to promote innovative ways to enable multi-sectoral efforts to address climate change.